The Skudo electronic tick repellent tag emits continuous ultrasonic impulses through a battery powered electronic circuit. The ultrasonic emissions repel ticks, so they’ll leave your pets alone. The ultrasonic pulses are inaudible and completely harmless to humans and pets. The battery operated, electronic tick repeller tag is the same size as a name tag and can be attached directly to your pet’s collar. It is totally safe, the preferred choice for animals weakened by sickness or more vulnerable such as pregnancy, lactating, new born, very young, or senior animals. 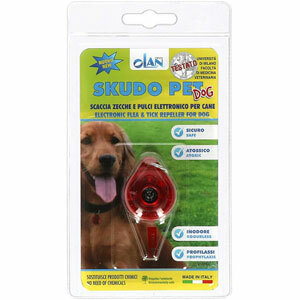 The Skudo electronic tick repellent tag repels ticks for up to twelve months on all pets. 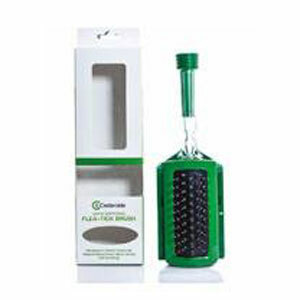 It is completely safe and non toxic for all family members playing with or coming into contact with your pets. The product is water resistant and can be worn by your pet while they are washed. We recommend removing the tag before swimming in sea water.